References XAP_App::getStringSet(), XAP_StringSet::getValueUTF8(), localizeLabel(), XAP_Dialog::m_pApp, mMainWindow, mTextEntry, newDialogBuilder(), s, and s_return_hit(). 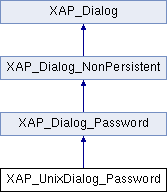 References XAP_Dialog_Password::a_Cancel, XAP_Dialog_Password::a_OK, mTextEntry, XAP_Dialog_Password::setAnswer(), and XAP_Dialog_Password::setPassword(). References _constructWindow(), abiDestroyWidget(), abiRunModalDialog(), event_Cancel(), event_OK(), UT_return_if_fail, and XAP_gdk_keyboard_ungrab(). Referenced by _constructWindow(), and event_Return().